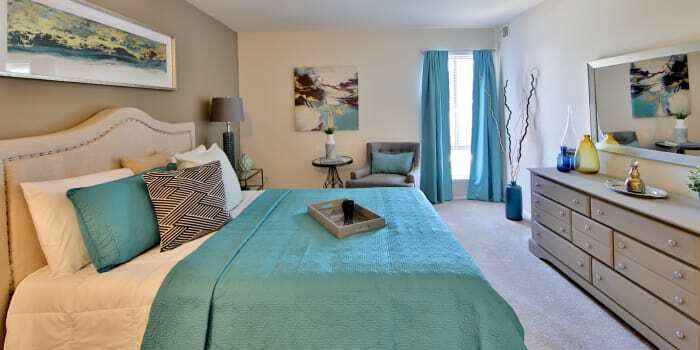 Find your perfect floor plan at Carriage Hill Apartment Homes. We feature expansive one, two, and three bedroom options ranging from 893 sq. ft. – 1,363 sq. ft. Our homes are designed with you in mind – large, meaningful spaces and quality interior finishes and features. Managed by Morgan Properties, we check, inspect, and perfect 101 areas of your home before you move in. We make sure that everything is clean, working properly, and ready for an easy, care-free move-in day. Each floor plan is as unique as it is spacious. Every home comes standard with a washer and dryer, making laundry day an easy task. Kitchens are fully equipped with a dishwasher, disposal, dining room, and a breakfast nook to gather with friends and family. Select homes are updated, and some feature an additional den space. For those Maryland nights when dining alfresco is desirable, enjoy a meal on your private patio or balcony. 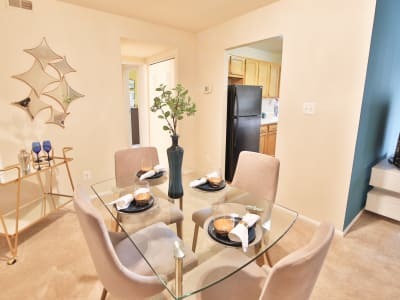 With central air conditioning, gas heat, and included window coverings, you’ll feel comfortable and cozy year-round in your new home nestled in Randallstown, MD. Find the floor plan for you at Carriage Hill Apartment Homes on Carriage Hill Circle in Randallstown, MD. Schedule your tour today.